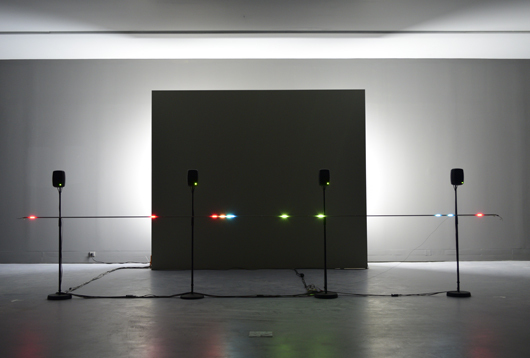 An audiovisual experiment, that implements spatio-temporal synchronisation between visible and audible events, happened. 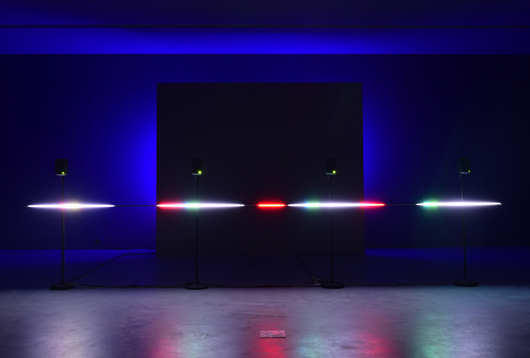 This experiment was materialized with light – array of LEDs, and digital sounds widespread by an array of loudspeakers. A computer program, based on a video white noise generator, calculates in real time unpredictable rhythmic sequences that are perceived as precisely located audiovisual events. Acknowledgments: Miguel Carvalhais and Pedro Tudela that kindly hosted the presentation of our work.